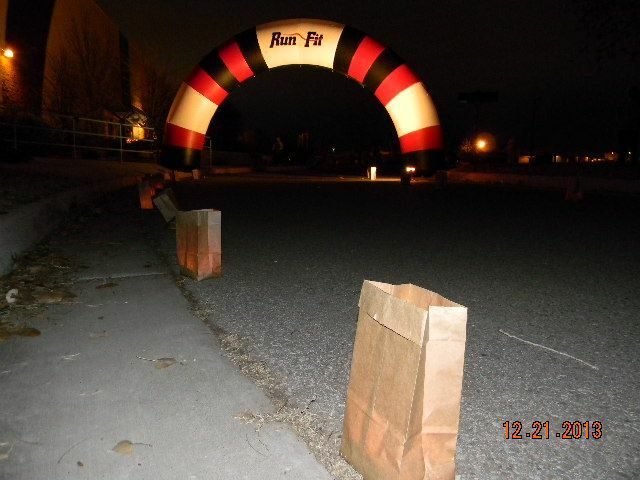 Register for the 16th Annual Farolito "Trail of Lights" 5K and Kids K. This annual holiday favorite is a unique opportunity to celebrate the season. 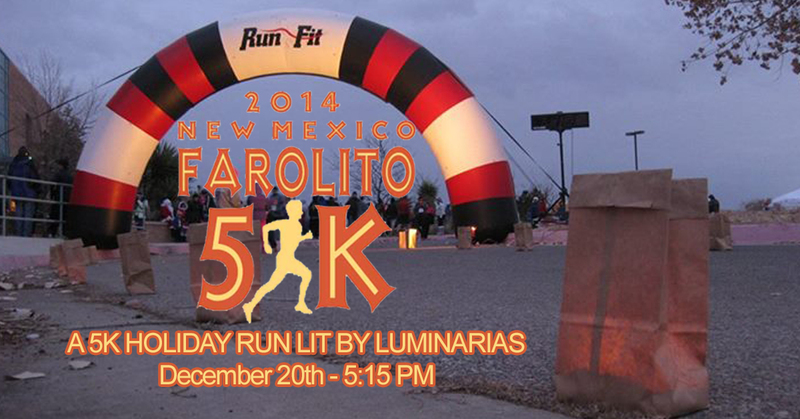 Participate in a 5K Run/Walk on a course lit by farolitos - holiday lights of the Southwest and runs on the road and pathways within the S.I.P.I. and surrounding neighborhood. Clock finish. Awards to top 3- Male and Female. Enjoy the post event goodies. Come join hundreds of participants for this holiday event and a must on your holiday calendar. Santa will be here too! Twilight Kids K: 5:15 P.M. Note: If you are not able to pick up your packet in person at the location and time stated below, you must plan for a representative to pick up your packet. 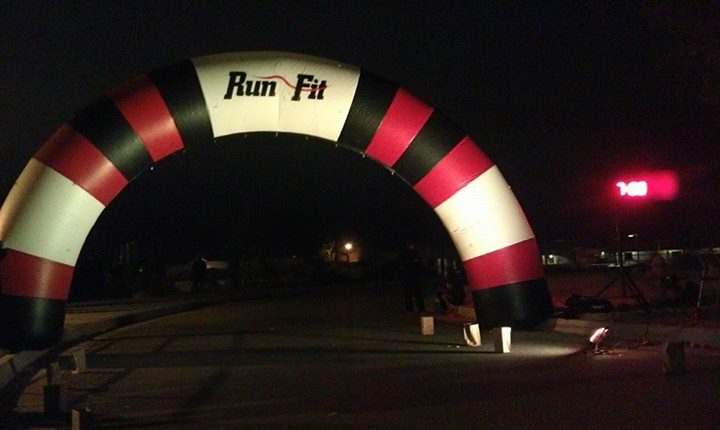 Any out of town participants may pickup their packet on race day at the registration area between 4:00 and 5:00 p.m.
Start location for the 5K and Kids K is located near the finish. All races will start promptly at the designated times listed above. Allow plenty of time to get to the start. If you are driving to the race plan to arrive early and park. Please arrive no later than 5:00 p.m. so that course will be free of vehicles. This race is a Gun Start with a clock finish. There will be no posted times. Overall awards will be presented to the top 3 Males and Females. PLEASE USE DESIGNATED PARKING AREAS/SPACES ONLY. DO NOT PARK ON ANY OF THE INTERIOR ROADS. Bathrooms (port-a-potties) are located just east of finish and next to the start in the east parking lot. 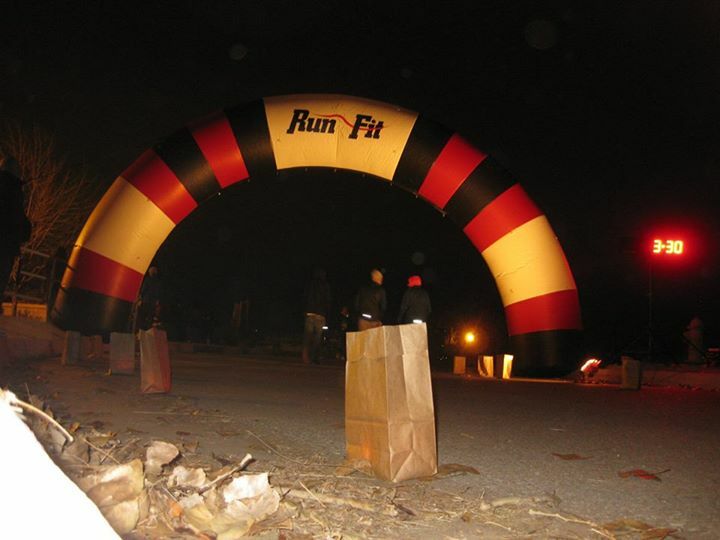 Each participant will receive a Race (Bib) number that must be worn on race day. DO NOT alter your race number in any way. Your bib number must be visible and worn on the front outside of all clothing during the entire race so that it may be clearly seen. Bib numbers are non-transferable, and MUST be worn by the runner to whom it is assigned. Note: Strollers and baby joggers are permitted. Strollers and baby joggers must start at the back of the pack and your child must be secured in the stroller at all times. 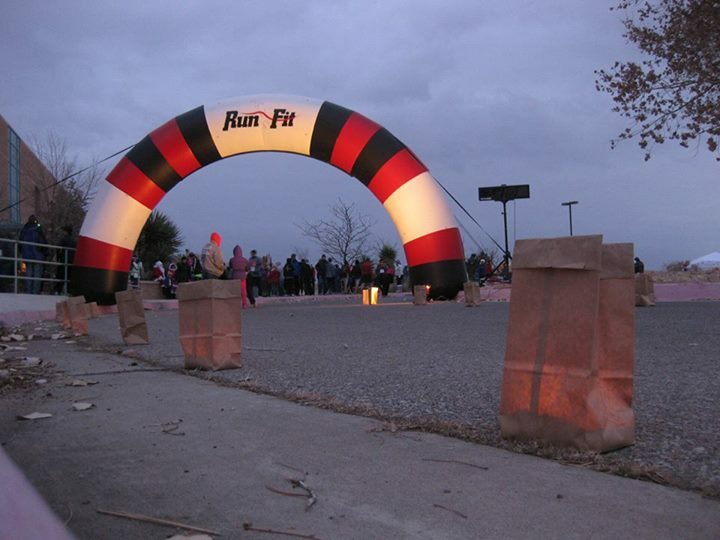 Moreover, strollers and joggers must be well lit in order to prevent a tripping hazard or accident for other participants. The Race Director will monitor the weather and decide if any action will be taken to modify the race. Possible changes include: altering the start time for the race or in extreme situations, cancellation of the event. Please listen closely to all public address announcements at the starting line of the race. Visible lightning will cause the race to be postponed for a minimum of 15 minutes. Additional sightings will continue to delay the race in 15-minute increments. If extreme heat is predicted, extra water will be provided to the athletes, prior to, during and after the event. The medical team will be alerted that athletes may require additional medical attention during and after the event due to the high temperatures. 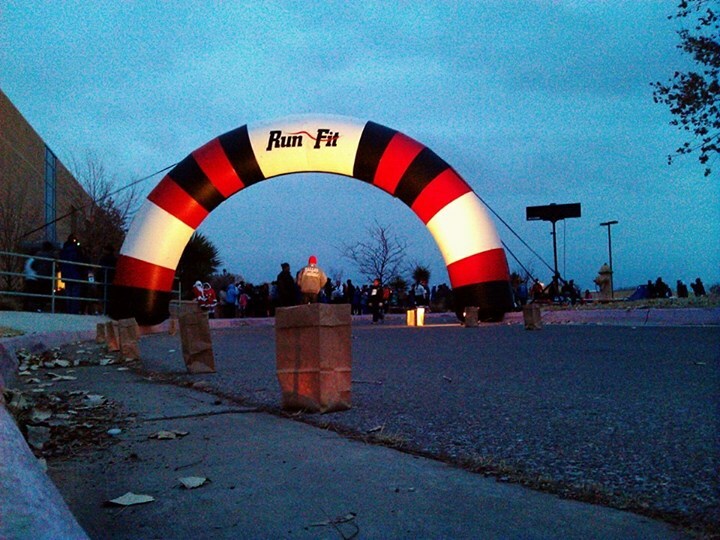 Each participant will receive a Race (Bib) number that must be worn on race day. DO NOT alter your race number in any way. Your bib number MUST be visible and worn on the front outside of all clothing during the entire race so that it may be clearly seen. Bib numbers are non-transferable, and MUST be worn by the runner to whom it is assigned. Non-registered runners are not permitted on course. Post Race refreshments will be held immediately after you finish. Enjoy posole, hot chocolate and more.